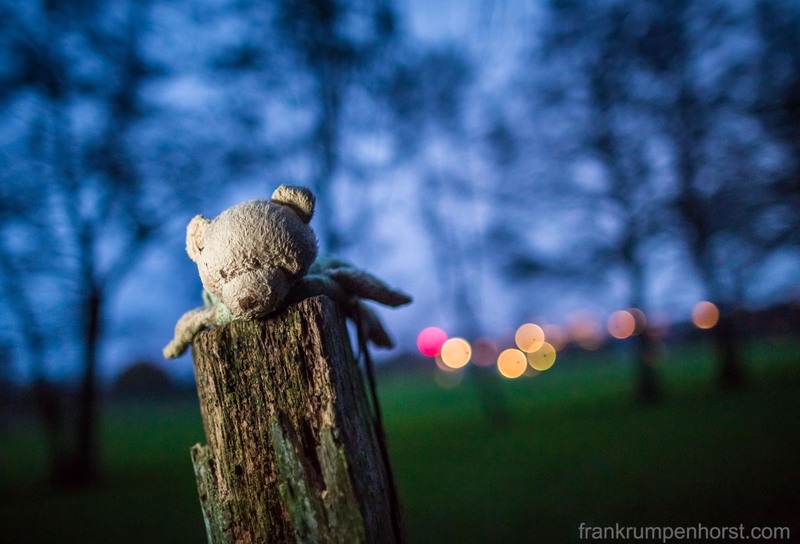 A teddy bear, lost by a toddler or a baby, rests on the post of a fence after nightfall at a trail near Friedrichsdorf, a town some 15 kms (9 mls) outside Frankfurt, Nov. 11. It was apparently placed there by walkers, hoping that its young owner will eventually retrieve it. This entry was posted in foto, Fotografie, germany, Photo, Photography, Uncategorized and tagged baby, fence, find, honesty, kid, lonely, lost, night, nightfall, poor, sad, teddy, teddy bear, teddybär, toddler, toy, tradfition. Bookmark the permalink. Nawww, this is just like toy story 3! How sad!